Following the settlement of Louisville at the Falls of the Ohio in 1778, farms spread out into the nearby countryside. Early landowners included Col. William Pope, Maj. Abner Field, and the Shivelys, Christian William and Jacob. Christian opened a mill and tavern on the section of his 1,000 acres (400 ha) tract near Mill Creek and the road—later incorporated as the Louisville and Nashville Turnpike—connecting Louisville to the Salt River. This became the focus of a settlement known as the Shively precinct. He donated the land for a church in 1816 that is now known as Parkview Methodist. Shortly before the Civil War, the area became popular among German immigrants, mostly from Bavaria, and they erected St. Helen's Catholic Church in 1897. The community was commonly known as St. Helen's for the next few years, but the post office (est. 1902) could not adopt it owing to another community with that name in Lee County. Eight whiskey distilleries opened nearby after the end of Prohibition. When Louisville began an attempt to annex and tax them during the Great Depression, they talked the residents of Shively into incorporating separately (finalized May 23, 1938) and annexing their district instead. Their $20-million revenue stream left the small city well funded, despite its becoming the state's fastest-growing city during the 1950s as white flight and suburbanization reached Louisville. The area had longstanding de facto segregation as a whites-only neighborhood. In 1954, black Korean War veteran and electrician Andrew Wade IV and his wife Charlotte, who had found themselves unable to buy a home in a suburban neighborhood due to Jim Crow housing discrimination, got help from activists Carl and Anne Braden. The Wades selected a house in Shively that they wanted to buy, and the Bradens bought it on their behalf and deeded it over to them. Soon afterwards, the Wades' home was repeatedly attacked—including cross burning on an adjacent lot, rocks through their windows, rifle shots into the house, and ultimately a dynamite bomb that exploded under their daughter's bedroom while they were in the home (although no one was injured). The news made national headlines and was the subject of a 1958 memoir published by Anne Braden, The Wall Between. No one was ever convicted of the crime, and the Bradens were charged with sedition for their actions. Carl Braden was convicted and sentenced to 15 years in prison—spending seven months there before state-level sedition convictions were overturned by a U.S. Supreme Court ruling in a related case in 1956. After the bombing, the Wades left and very few other blacks attempted to move in, and the community remained a largely white "sundown town" well into the 1960s. In the 1970s onwards, the segregation would erode, to the point where Shively now has approximately a 30% black population, according to U.S. Census records—a greater percentage than in the Louisville metropolitan area as a whole, and more than double the percentage in the U.S. population as a whole. Increased taxes and changing tastes closed most of Shively's distilleries in the late 1960s. Shively's population has gradually declined since reaching 19,223 in 1970. Budget surpluses became shortfalls, and Shively tried but failed to annex more suburban territory in Pleasure Ridge Park in 1984. The same year, the town was hit with a scandal when police chief Michael Donio admitted to taking bribes to allow prostitution in the area. Such events led to the community's reputation as "Lively Shively" (as the name of the town is pronounced with a "long i", this is a rhyme). The area's fortunes have since improved somewhat, with various public works projects occurring and some businesses moving to the area. However, the area along Seventh Street north of Dixie is still known for its seedy adult-entertainment businesses. Into the 2000s, the area lagged behind eastern and southern Jefferson County, with one of its few remaining large retail centers, the 150,000-square-foot (14,000 m2) Dillard's on Dixie Highway (est. 1956), closing in 2007 due to slow sales at the location despite the chain's general profitability in the Louisville area. Shively continues to show its strong ties to the bourbon industry. It remains the site of one major operating distillery—Brown-Forman's Early Times distillery, which still produces historic brands including Early Times (first produced in 1860, and one of the few brands that was allowed to be produced during the Prohibition era—the best-selling whiskey in the country in the mid-1950s) and Old Forester (first produced in 1870—the first bourbon sold exclusively in sealed bottles and the oldest bourbon continuously on the market to the present time). Another historic Shively distillery site, the former Stitzel-Weller distillery, has been converted into a tourist attraction for the Bulleit Bourbon brand, and was included as a stop on the Kentucky Bourbon Trail in 2014. As of October, 2014, the historic Michter's bourbon brand is working on opening a new distillery site in Shively. The Bernheim Distillery, another major distillery which is the current distillery site for Heaven Hill Distilleries, opened in the neighboring part of Louisville just outside Shively around 2000. Shively's modern boundaries are roughly Millers and Bernheim Lane to the north (Louisville's Algonquin neighborhood); Louisville's Seventh Street to the east; I-264 and St. Dennis to the west; and Rockford Lane and Pleasure Ridge Park to the south. Shively is centered on the junction of US 60 and the Dixie Highway (US 31W) near 38°11′35″N 85°48′58″W﻿ / ﻿38.193175, -85.816166. According to the United States Census Bureau, the city has a total area of 4.6 square miles (12 km2), all land. As of the census of 2000, there were 15,157 people, 6,667 households, and 4,080 families residing in the city. The population density was 3,271.1 people per square mile (1,264.0/km²). There were 6,929 housing units at an average density of 1,495.4 per square mile (577.8/km²). The racial makeup of the city was 67.26% White, 30.32% African American, 0.26% Native American, 0.42% Asian, 0.78% from other races, and 0.96% from two or more races. Hispanic or Latino of any race were 1.39% of the population. There were 6,667 households out of which 25.6% had children under the age of 18 living with them, 40.1% were married couples living together, 17.0% had a female householder with no husband present, and 38.8% were non-families. 34.0% of all households were made up of individuals and 14.9% had someone living alone who was 65 years of age or older. The average household size was 2.23 and the average family size was 2.84. In the city the population was spread out with 21.7% under the age of 18, 7.7% from 18 to 24, 28.2% from 25 to 44, 21.7% from 45 to 64, and 20.7% who were 65 years of age or older. The median age was 40 years. For every 100 females there were 85.0 males. For every 100 females age 18 and over, there were 79.9 males. The median income for a household in the city was $31,422, and the median income for a family was $38,652. Males had a median income of $31,368 versus $25,190 for females. The per capita income for the city was $17,574. About 12.2% of families and 14.5% of the population were below the poverty line, including 26.7% of those under age 18 and 10.2% of those age 65 or over. ^ a b Commonwealth of Kentucky. Office of the Secretary of State. Land Office. 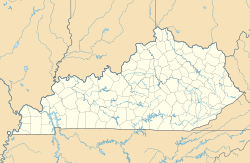 "Shively, Kentucky". Accessed 26 Aug 2013. ^ a b c The Encyclopedia of Louisville, p. 819. "Shively". University Press of Kentucky (Lexington), 2001. Accessed 10 October 2013. ^ Interview with Eric Tachau and Mary Tachau, November 11, 1989, Louie B. Nunn Center for Oral History, University of Kentucky archives, Catherine Fosl, interviewer. ^ Howlet, Rick, Louisville Remembers a Tumultuous Time 60 Years Ago, WBUR-FM, December 1, 2014. ^ Interview with Andrew Wade, November 8, 1989, Louie B. Nunn Center for Oral History, University of Kentucky archives, Catherine Fosl, interviewer. ^ Video Interview with Anne Braden, Kentucky Historical Society. ^ Wade, Andrew IV, Civil Rights Digital Library, Digital Library of Georgia, Board of Regents of the University System of Georgia. ^ Fox, Margalit, Anne Braden, 81, Activist in Civil Rights and Other Causes, Dies, New York Times, March 17, 2006. ^ White, Bob (2005-09-25). "Andrew Wade IV, first black man to buy a house in Shively, dies". The Courier-Journal. p. 06B. ^ Riley, Jason (2005-11-29). "Four adult bookstores ordered to clean up". The Courier-Journal. p. 05B. ^ "Shively Dillard's to close in Feb.; 170 employees offered transfers". Courier-Journal. 2006-12-13. ^ Louisville Area Gets its Second Stop on the Bourbon Trail, WDRB, September 15, 2014. ^ Mann, David A., Slideshow: Michter's Gets New Still in Shively, Business First, October 23, 2014. Rowena, Bolin (1989). A Place in Time: The Story of Louisville's Neighborhoods. "Shively". The Encyclopedia of Louisville (1 ed.). 2001. This page uses content from the English language Wikipedia. The original content was at Shively, Kentucky. The list of authors can be seen in the page history. As with this Familypedia wiki, the content of Wikipedia is available under the Creative Commons License.